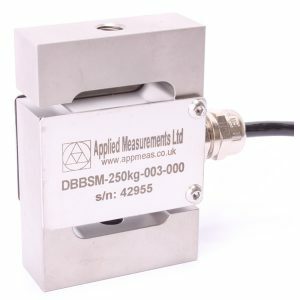 The WS17KT medium range cable extension transducer is designed for mid-range position, displacement or length measurement in industrial applications and is available with ranges from 0-1500mm and 0-15,000mm. The precision potentiometer sensing element used within the WS17KT cable extension transducer offers superb accuracy with linearity better than 0.1%/FS coupled with excellent resistance to shock and vibration. An R1K potentiometer output is provided as standard with the option of integral signal conditioning to 0-10Vdc, 4-20mA or a digital SSI output as preferred to match your monitoring or control system. User-adjustable 0-10Vdc and 4-20mA output versions of the WS17KT cable extension transducer are also available. The compact design allows for fast and simple installation while the tough aluminium and stainless steel housing offers IP64 environmental protection to suit tougher industrial environments. Typical applications for the WS17KT cable extension transducer include aircraft testing, circular saw control, conveyor belts and automotive testing.